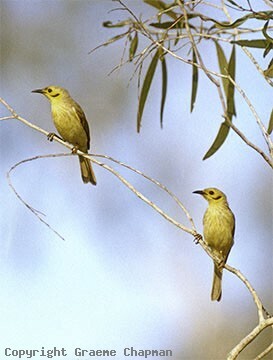 Yellow-tinted Honeyeaters inhabit the sclerophyll woodlands of northern Australia from near Broome in W.A. across to the Atherton tableland. 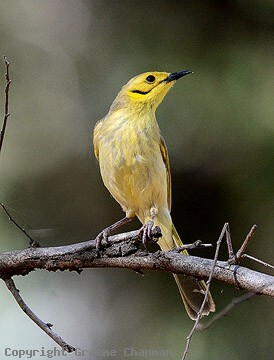 There they replace the closely related Fuscous Honeyeater from eastern and southern Australia. 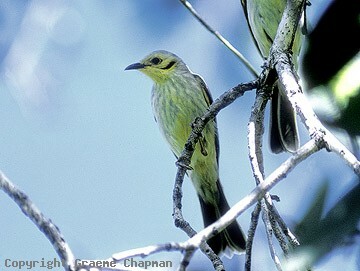 They also occur in southern New Guinea. 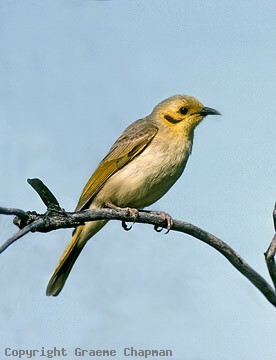 Yellow-tinted Honeyeaters are normally sedentary and occupy permanent territories, usually adjoining to form loose colonies. Often feed together in small groups and visit water daily, they are very active and can be aggressive towards competitors.